We have one more simple DIY idea for your Kentucky Derby party! 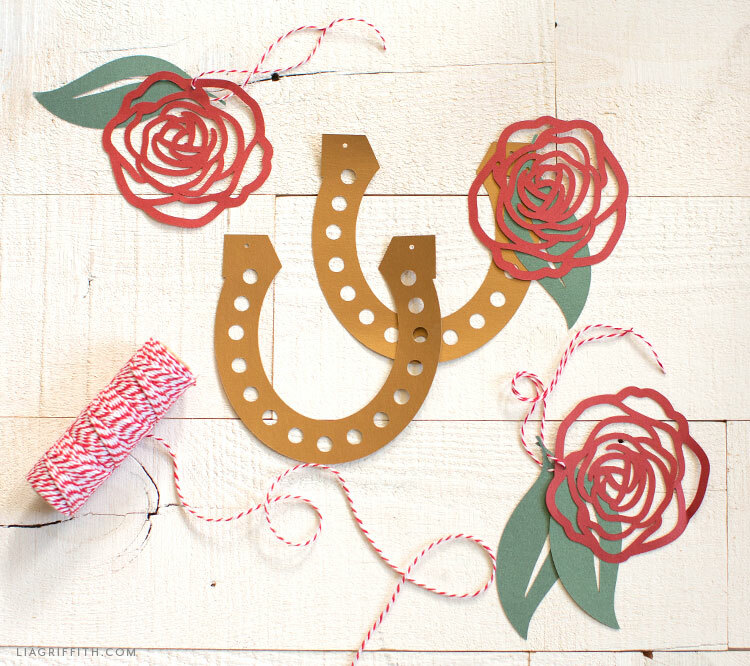 Along with our printable Kentucky Derby party invitations, we are continuing our Run for the Roses theme with this papercut horseshoe and rose banner. While you can cut our design by hand, it will be much faster to assemble this Kentucky Derby banner if you have a cutting machine do most of the work! No matter the outcome of the race, we know one thing that will go in your favor—this craft! Not only is it easy to make, but we think it will get some oohs and aahs from your Kentucky Derby crew. Another great thing about this Kentucky Derby banner is that you can re-use it for another event. We love it when a party decoration has multiple uses! 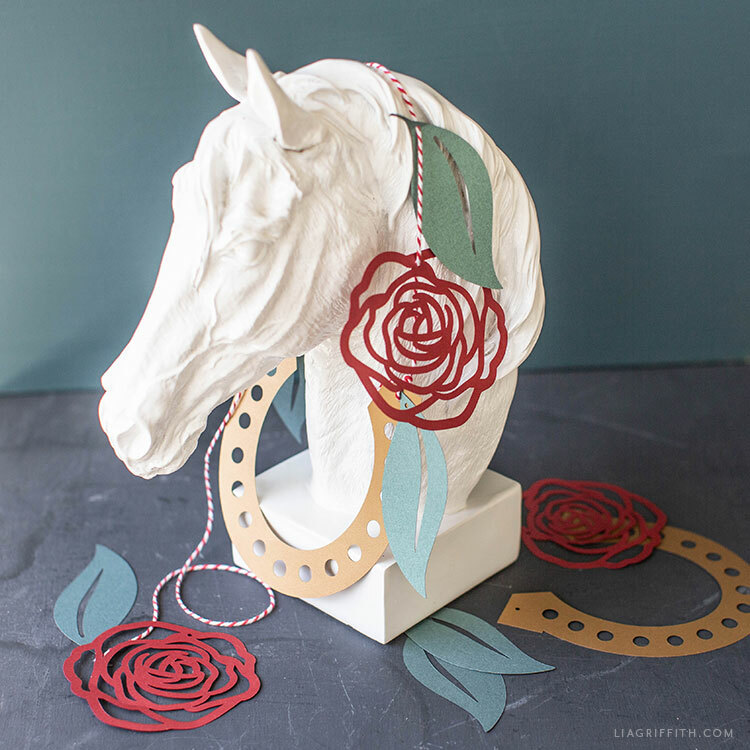 Another fun idea for a Kentucky Derby party is to make your own roses. We have a variety of rose flower patterns on the site that you could use as party decor. And we even have some recipes you may want to browse for your DIY party! Whatever you end up crafting for your party, we hope you have fun! And if you have any questions, or you’re looking for something specific, let us know and we’ll help you out. Download the pattern for this project below. Use our SVG file to cut on a cutting machine, or use the PDF to cut by hand. String on bakers twine or ribbon to create your Kentucky Derby banner. Want to craft more party decorations? Make sure to check out all of our styled party DIY ideas. For more inspiration, follow us on Facebook, Pinterest, or Instagram. And check out our DIY videos on YouTube. To download this Kentucky Derby banner, become a member.